After a 3-year interlude, Eliane Elias returns to Portugal for what will undoubtedly be a must-see performance. The return to Portugal in Trio format with Jeff Ballard and Larry Grenadier takes place in October 2019, bringing in the luggage themes from the new work in trio Seymour Reads The Constitution. 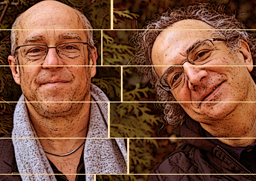 Trumpeter Dave Douglas and pianist Uri Caine have long engaged in collaborative work, but this is the first time we've found them duo on a record. The project is inspired by the repertoire Sacred Harp, Protestant choral tradition of the South of the United States that dates back to the 18th century and remained alive until the 19th century. In order to receive our newsletter, please send us an e-mail to newsletter@incubadoradartes.com with "NEWSLETTER" on subject.